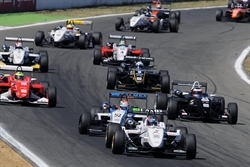 03/08/2009 - Exit mean with satisfactions for team Lucidi Motors at Varano de' Melegari in the fifth round of the Italian Formula 3 championship. The two qualifying sessions on Saturday were partially steep: Sergio Campana did not manage to be better than third (1'02.924) while Edoardo Liberati set a best lap time of 1'03.386, worth the tenth position, just in front of Francesco Prandi, eleventh (1'03.413). Race one last just a few metres for Campana, victim of a bumping at turn one that made him spin before being hit by the blameless Federico Glorioso that was approaching. Prandi into points, ninth while Liberati concluded thirteenth. A good recovery characterized race two of the driver from Modena who started from the back of the grid and with great determination managed to get back up to the eighth final position under the chequered flag, followed by Liberati. Prandi retired due to an accident instead. "This has not been a weekend to remember for our team: a contact at turn one of the first race spoiled the whole weekend for Campana who tried to limit the damage with a good recover in race two. Prandi has been victim of a contact too in the second race but in the first one hi managed to score points; the four points harvested by Liberati will set his basis for growing a season finale". The classification sees now Sergio Campana third with 94 points, 21 short of the leader. 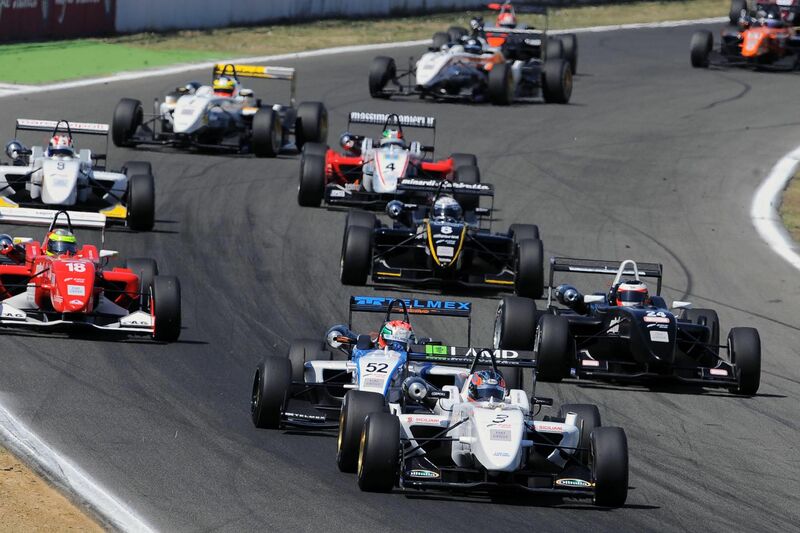 Next round of the Italian Formula 3 Championship is scheduled for 6 September at Imola.